The apartment is located right in the center of Catania. You can reach Cathedral square, the famous fish market, A Piscaria, and the main street, Via Etnea, in two minutes walking. On the second floor of a palace, the apartment is equipped of everything you need: air conditioning, sheets, blankets, shampoo, detergent, wifi... it's easy to get to the airport, port and train station. Affittasi a Catania centro stanze in appartamento per lunghi/brevi periodi di vacanza/lavoro. Ideale per famiglia numerosa, gruppo di amici, professionisti/artisti, piccola comunità religiosa in ritiro spirituale. L'appartamento ha 2 posti auto annessi. L'appartamento (classe energetica C) è completamente ristrutturato, le camere sono munite di ogni confort (Wifi, TV) e finemente arredate. A richiesta si fornisce biancheria da letto e da bagno. Vani totali dell'appartamento N°6. 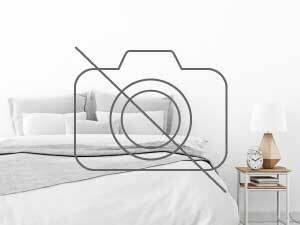 Stanze disponibili (7 posti letto): •una singola con bagno in camera; •una ampia doppia (adattabile a tripla) con bagno in camera; •una suite (doppia) con bagno riservato; •una matrimoniale con bagno in camera; •Spazi in condivisione: accogliente cucina-soggiorno completa e fornita di tutto il necessario; • terrazzo con verde e spazio relax, lavanderia con lavatrice. L'appartamento si trova nella piazza dell'antico convento dei frati domenicani, in pieno centro storico - Villa Bellini - nel cuore degli itinerari agatini (Storia della patrona S. Agata). La zona è servita da negozi, bar- pasticcerie, ristoranti tipici, facoltà universitarie, biblioteche ed archivi, autobus urbani che la collegano alla stazione, al porto e all'aeroporto di Catania. Ideale per trascorrere una vacanza rilassante in una città piena di storia e che, per la sua particolare posizione geografica, permette di raggiungere aree balneari in pochi minuti e, in meno di un'ora, le pendici dell'Etna. Situé dans un immeuble élégant du XIXème entièrement rénové qui se trouve au c? ur du centre historique, entre le marché aux poissons ( la pescheria ) et le château Ursino. || || A 200 mètres de la Piazza Duomo, proche des monuments historiques les plus importants et au centre de la vie nocturne catanaise. || || Facile accès en voiture depuis l? aéroport en 15 minutes, depuis la gare et la station de bus en 10 minutes et du port et de la plage ( la Playa ) en 5 minutes. || || L? auberge dispose de chambres avec salle de bain, air conditionné, TV, DVD, connexion internet WiFi, ainsi que d? une grande salle commun. apartment of 120 sqm, 4 single rooms, very bright. Located on the 4th floor. Furnished, bring towels and sheets. Corner Via Gabriele D'Annunzio, behind the building of Sciences. A bathroom and a kitchen, balconied around the entire perimeter. Three-room apartment for rent Ognina-Scogliera, furnished and air-conditioned, with large balconies, kitchen and garage Available from October to mid-June for students and off-site workers. rent room with double bed, the room is very large, like the house, has ttto tv, wardrobe closet, in complete practice of everything, the bathroom is separate, but always within the house, the TV is also in the kitchen , the house has balconies to spread the laundry, the house is big enough, in case of interest you can 'come to see. Residence Belvedere features a double bedroom with private bathroom with tub / shower. The room is equipped with air conditioning, heating, tv and wifi. Independent entrance with living room and fridge bar (free of charge) available to guests. Breakfast included. Internal parking space. Access to the garden complete with outdoor furniture, and a children's pool. Free daily cleaning from 11am to 12.30pm. Minimum stay 2 nights. For stays of 7 nights will be offered dinner at the pizzeria convention. At the departure guests will be greeted and thanked for having chosen us by offering them Sicilian specialties (Paste di Mandorla). Deux belles chambres, spacieuses et confortables dans une ancienne maison sur la mer d'Acireale. Réserve naturelle protégée. Jardin typiquement sicilien et terrasse meublée. Les chambres ont chacune leur propre salle de bains, WC, douche, climatisation, TV et wifi. La cuisine est disponible et le petit-déjeuner, avec beaucoup de produits siciliens, est inclus. Gare à 1 km, supermarchés et commerces à 800 mètres. Acireale est connue pour ses palais en style baroque et ses églises, sa mer sur la côte Est de la Sicile, mais la ville de Catane est à seulement 9 km. Taormina et Syracuse sont facilement accessibles. A few steps from the historic center of Acesia, just a few minutes from Piazza Duomo is our beautiful single VILLA. The whole house has independent access and the early '800, is completely renovated and retains clear elements that recall the local tradition. Art Nouveau furniture, pastel tones, wood, lava stone and terracotta create a refined and elegant, but sober, in perfect line with the spirit of the Sicilian tradition. The elegant, functional, welcoming and bright villa has a splendid sea-view terrace equipped with tables, chairs and umbrellas, a living area with a fully equipped kitchenette, a bathroom with a hydromassage shower, as. Apartment on the sea, fully furnished and equipped with air conditioning and TV, overlooking the old port of Stazzo, a hamlet of Acireale. The apartment is on the first floor and consists of a large living room overlooking the sea and two bedrooms for a total of 7 beds (a bedroom with a double bed and a single bed, a bedroom with a double bed; with double sofa bed). The property also has a kitchen, laundry and toilet with shower. From the two large balconies you can admire the Etna and the enchanting scenery deriving from the animated life of the quaint fishing village. Single storey ground floor composed of 2 bedrooms, kitchen, bathroom and courtyard. It has 2 double beds a double sofa bed, and a bunk bed. The two bedrooms, one double and one double, with attached bathroom, its are on the second floor of a independent villa, equipped with central heating (radiators), new furniture and TV, its are very spacious and bright, its have a balcony from which you can look out and enjoy the sight of Etna. The house is located in the center of the village of Santa Domenica Vittoria (ME), the village is located in the Nebrodi Mountains at 1080 m high (Sicily), south-eastern side of Etna, between Randazzo (CT) and Floresta (ME), tourist destination both for the breathtaking landscapes and for the typical local products to taste. A few steps away are: the middle and elementary schools, the medical guard, bars, post offices, tobacconists, pharmacies, shops and bus stops. The rooms will be rented for 60 euros night each (accommodation up to 30 days), breakfast and parking space are included in the price. Apartment The Rustic Is Located In A Wonderful Area Near The Sea Of Pozzillo. The Apartment Can 'Host Up To 6 People Have A Bedroom With The Possibility' To Add A Single Bed, 1 Bathroom Complete With Hydromassage Shower, A Kitchen Complete Of All The Accessories. The Apartment Is Super Accessored With Tv, Air Conditioning, Autonomous, Free Wi-Fi, Parking Place. Available To Guests, There Is Also A Great Pool With Hydromassage And Relaxation Area. Suggestive location in an ancient Sicilian residence, quiet and far from traffic but at the same time in a convenient position to move in all directions. 5 KM FROM THE GIARRE MOTORWAY. Bright Room Facing The Sea! Spacious and bright room in a beachfront apartment in Taormina. Double bed plus a single bed. Private bathroom next to the room for exclusive use. Wonderful panoramic balcony with chairs and sofas. Air conditioning, TV, Wi-Fi, common areas available: large living room and kitchen. Possibility to use washing machine. Vous souhaitez trouver une colocation ou un colocataire à Catane ? Catane est située en Italie. Avec Roomlala, les habitants de Catane seront très heureux de vous accueillir en coloc pour vos études, stages ou vos déplacements professionnels. Cherchez une offre de colocation pour étudiant ou de colocation vacances proche des lieux importants de Catane. Nous proposons des annonces de colocations ou sous-locations dans les principaux quartiers étudiants de Catane pour des moyennes et longues durées (colocation au mois ou à l'année ou de courte durée).